On August 15, 2007, a great earthquake with a magnitude of 8.0 struck Peru in South America; 500 were killed and 1,100 were injured. 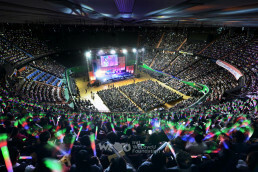 The damaged area was Ica state. When the earthquake hit Ica city, 200 people were in a mass at a Catholic Church and were buried. Pisco city and Chincha city were also severely damaged. Major high ways and 17,000 buildings collapsed, leaving over 80,000 refugees. 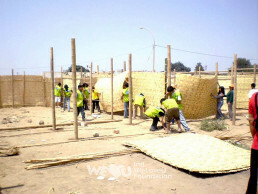 The IWF members from the Lima branch in Peru built 15 temporary schoolhouses for the Santa Ana Girls’ High School in Chincha city damaged by the earthquake. After the schoolhouses made of soil and straw collapsed, class was conducted in the tents given by international organizations from October 1. However the summer of the Southern Hemisphere made the classrooms hot like greenhouses and the students suffered from vomiting and dizziness. The IWF Lima branch in Peru was informed of this desperate situation from Anibal Luyo Del Risco the Deputy Mayor of Chincha City, and Hime Louis Uaman Akire the principal of the school. 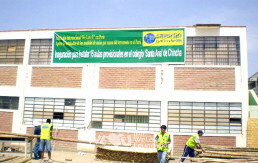 Immediately, the IWF Lima branch decided to build temporary schoolhouses. 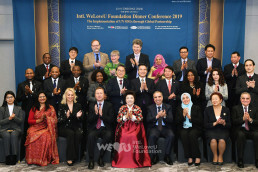 IWF Headquarters in Korea also heard about the news and raised funds to support them. On November 5 when the construction was completed, Anibal Luyo Del Risco the Deputy Mayor of Chincha City presented the plaque of appreciation to Chairwoman Zahng Gil-jah and the IWF Lima branch in Peru. On November 7, Principal Hime Loius Uaman Akire (51) delivered the plaque of appreciation to Lima Branch Manager Kim Wang-hyeon. 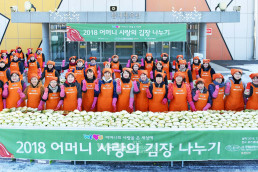 Lima Branch Manager Kim Wang-hyeon said, “I was very sorry to hear that the students were suffering from the natural disaster and absence of schoolhouses as well.” He wished them to overcome the trial and study hard in cool classrooms to become great citizens who care for their neighbors.